In the middle of Triveneto an area of furniture production, in Sacile (PN), the SIA Tranciati srl, Company specializes in wood veneer sector, can fulfil the requests of different kinds of producers, from furniture to interior designers, from doors to components, from boat interior designers to hotels, through big stock of all materials and transformation structures. The SIA Tranciati Company was born in 1966 with the native name SIAS-SACILE, under the management of the founder Mr. Franco BASSO, has became then SIA Tranciati srl, it is now directed by the son Francesco BASSO. 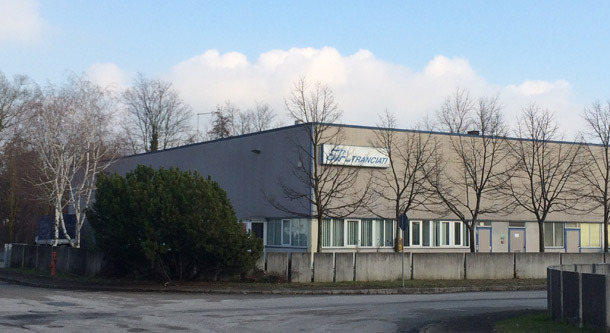 The original idea of the company was to have an attentive and expert service to the furniture sector of the Veneto and Friuli area that was expanding, later, the expansion and the bigger availability of the warehouse has permitted the Company to constantly improve, reaching its objectives to satisfy all the requests of wood veneers, from Italy or in the several others countries where SIA Tranciati is operating. Visit the page of the Essences of our wood veneer.